A variant, the pink, angelic Beargguy is now available in the HGBF series! 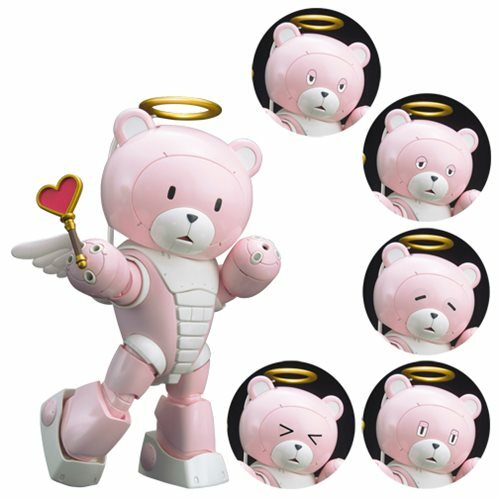 Equipped with an Angel's halo, Heart-shaped stick, and movable winged backpack, this Beargguy can be displayed in super-cute poses! Beargguy's mouth even opens! Set includes backpack and heart-shaped stick. Comes with a Runner, Marking sticker sheet, and Instruction manual. Ages 15 and up.